Purpose: Increase the health and vitality of your precious dog! 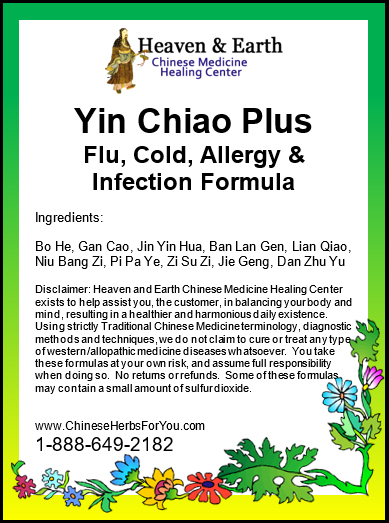 Works both as a rejuvenating tonic for any level of debilitation and as a preventative Chinese Herbal Formula assisting in all of your dog’s bodily processes. Excellent as a post-surgery, recovery tonic rebuilding healthy blood, energy, digestive strength & proper elimination. At Heaven & Earth CMHC we are passionate about our four-legged companions and have helped many dogs [and their owners!] to live with greater levels of health and longevity. 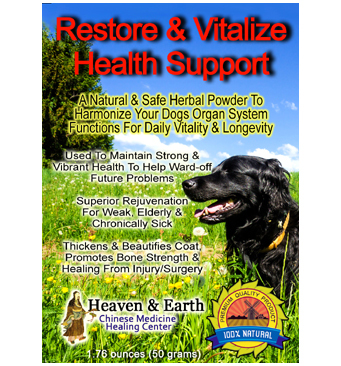 We are proud to offer our Heaven & Earth CMHC proprietary, scientifically advanced, natural, powerful and safe Chinese Herbal Powders to increase the health and vitality of your precious k-9 companions. 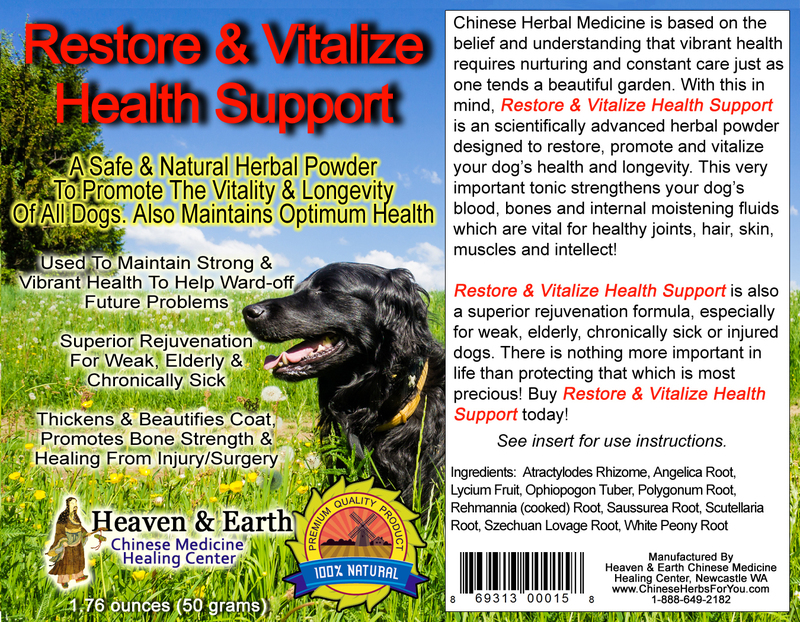 Our Restore & Vitalize Health Support Powder For Dogs is a specially formulated powder working both as a rejuvenating tonic for any level of debilitation and as a preventative Chinese Herbal Formula assisting in all of your dog’s bodily processes. This is a complete regeneration-type formulation working on their Liver, Kidney, Spleen, Heart and Lung Internal Organ Systems. 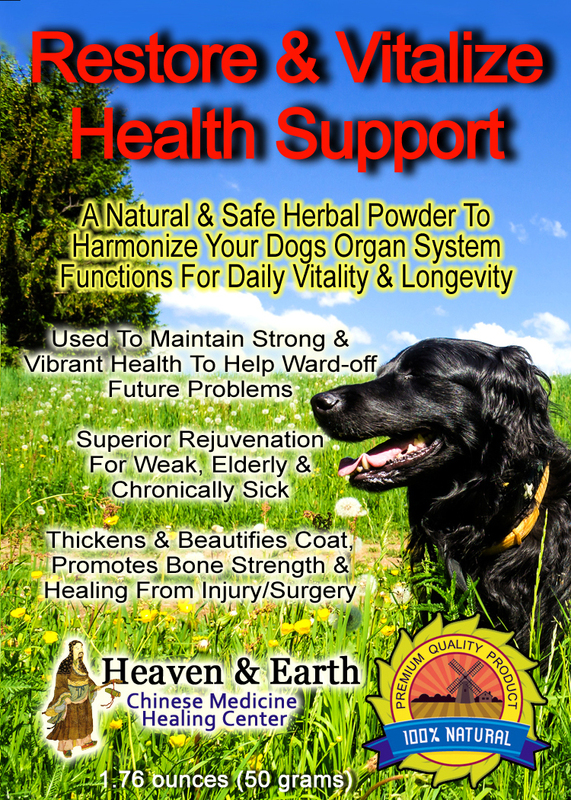 Restore & Vitalize Health Support Powder For Dogs may be used long-term, from weeks to months to years for numerous, chronic health problems. It may also be used quarterly, bi-annually or annually as a preventive measure to promote a healthy immune system, vibrant health and longevity for a happier and healthier quality of life! Please, always seek a medical health professional under any emergency conditions. Dosage is based on weight. Each dosage can be taken once or twice daily. Small size dogs: Up to 25 lbs. = ¼ teaspoon of powder. Medium size dogs: 25 to 60 lbs. = ½ teaspoon of powder. Large size dogs: 60 lbs. and up = ¾ teaspoon of powder. Add food, cookie, or favorite treat to bowl. Sprinkle herbal powder on top of food. Add small amount of water and mix with spoon until blended. Note: Many times dogs will eat the food and powder mixture without adding the water. If the food is of the canned or wet-type, you may skip step #3. 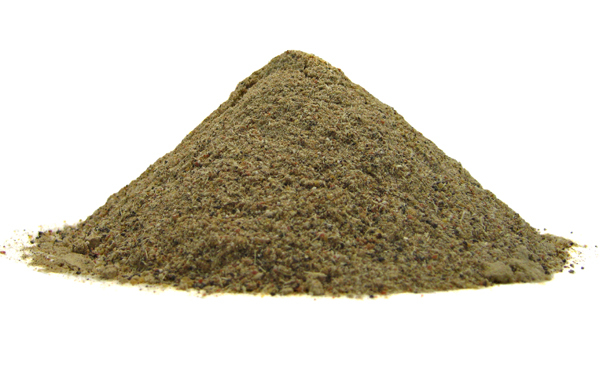 Please store all of our herbal powders in a cool and dry place. yes as always the products seem to invigorate energy level and seems to work as stated. we will be ordering again. its a quietly noticed product that allows the dose to work, finding immediate response from my dogs seem centered gain on meals, Their coats have also seemed robust. Its only been 1 week. I have a newfoundland with sensitive tummy issues. He has been constantly in need of antibiotics. Well no more This product has corrected his issues and is natural so I now do not have to worry about his organs being destroyed by medication. I would recommend this product to any animal. I have spent countless dollars every other month on prescriptions. My dog has been on this for a week and he is regular and has more spring in his step. He just feels Great! Get great deals and content sent directly to your inbox! Your Health is Our Passion! Heaven & Earth is dedicated to providing the very best quality products and service. We strive to be the best in the industry, to innovate and illuminate. 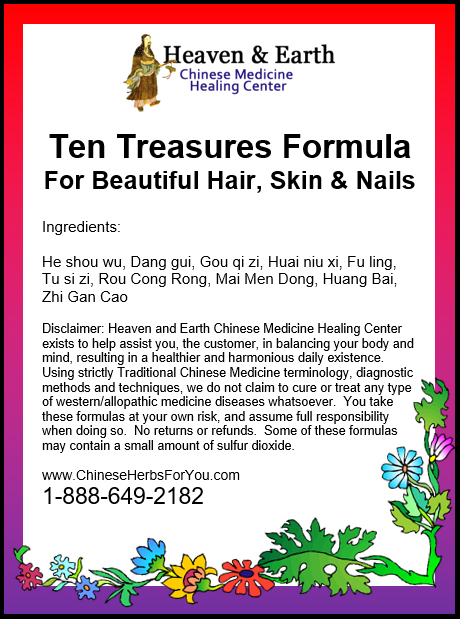 © 2019 Heaven & Earth Chinese Medicine Healing Center. 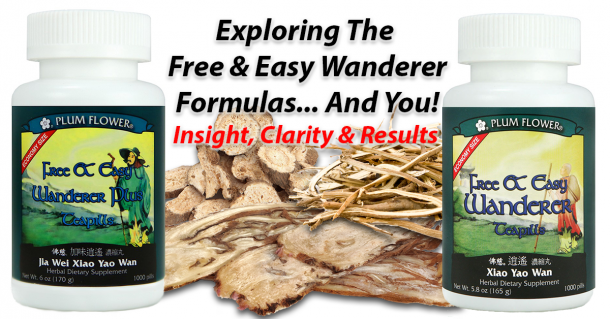 EXPLORE FREE & EASY WANDERER... In Easy, Bite-sized Segments! We know that time can be constrained sometimes! We have a lot of great content we think you'll love, so don't miss out. Get all of this content sent to your inbox over the course of the next month! Send Content To My Inbox!